Your smile is an important part of your personality, and you deserve for it to be at its very best. 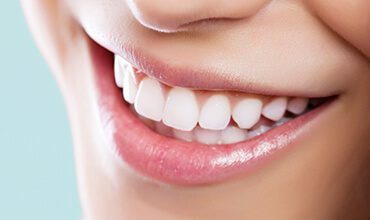 Unfortunately, stains, chips, cracks, gaps, and other aesthetic flaws are commonplace among even healthy teeth, and they’re likely to only grow more noticeable with time. Thankfully, Dr. Ronan Freyne is ready to help you achieve an exceptional transformation. Do any of the following situations sound familiar to you? Do you find yourself hesitating when you go to talk or laugh? Do you feel like your confidence isn’t at the level you’d like it to be or that it’s declined because your smile has changed over the years? Do you regularly attend social and/or professional situations where you wish you could make a better impression? If so, a cosmetic treatment could be right for you. Our team offers several aesthetic-based services that can help you show off your smile with pride once more, and we’ll work with you to determine the one that best suits your personal needs and preferences during an initial consultation. Contact us today here in Chevy Chase, MD to get started! With veneers, it’s easier than ever to fix your smile’s imperfections and achieve a much more confident appearance overall. These thin porcelain shells are designed to fit over just the front side of your natural teeth, hiding years of cosmetic imperfections behind a brand-new, representational replacement. They can correct chips, severe staining, gaps between teeth, and even misshapen dental structure. 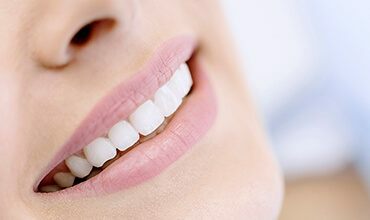 When choosing traditional veneers, patients will most likely need to have a small amount of their natural tooth enamel removed by Dr. Freyne to make way for the new addition. This makes the procedure essentially permanent. As an alternative, patients can select Lumineers, which are even thinner (about the width of a contact lens) and can be placed without significantly altering the teeth, allowing for an extremely conservative cosmetic rehabilitation. Sometimes, no drilling is required! Our team will be happy to discuss each of these options with you during a consultation and help you determine which one fits your needs best. If you only have a minor dental flaw to worry about, such as a small chip or spot of discoloration, direct bonding could provide the simple and effective correction you’re looking for. During this one-visit procedure, Dr. Freyne will use tooth-colored composite resin to cover the affected area, sculpting it into an attractive, lifelike shape that is then hardened into place with a curing light. Direct bonding is a very affordable cosmetic option when compared to other common offerings, but patients do need to keep in mind that the results are more likely to not last as long. Diligent oral hygiene and routine checkups can help extend the life of your bonding results, and Dr. Freyne is happy to perform touch-ups or repairs when needed. Certain patients will surely remember a time where having a tooth treated with an unnatural gold or silver-colored restoration was a certainty. While the addition improved oral health, the confident appearance of the smile was marred. Today, Dr. Freyne is happy to be able to conjoin high-quality materials and seamlessly lifelike aesthetics so that you can enjoy the best of both worlds. Our metal-free restorations are so natural-looking that they even reflect light in the same way as original tooth enamel. Better yet, they’re strong, comfortable, and much more biocompatible. Over time, most patients will become a victim of gradual tooth discoloration or noticeable staining. This can happen for a number of reasons, from innocent dietary choices to unavoidable factors like age and genetics. Instead of running to the local store for a lackluster whitening product, consider turning to our team for the professional and dedicated assistance you deserve. We offer both lightning-fast in-office whitening and convenient, effective take-home kits for patients who are ready to give their smile a boost.